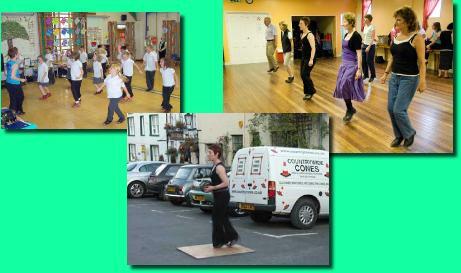 A community dance artist specializing in traditional clog and step dance, Alex is a trained dancer and teacher and is based in the North West of England. As a performer, she has a wide repertoire of step dance styles and rhythms based on material collected in many parts of Britain. 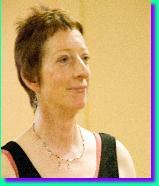 She is passionate about passing on the skills of step dance as well as an awareness of their context and social history. Alex has spent many years developing material and teaching strategies so that all sections of the community can learn and celebrate this unique dance heritage. Her work in primary schools has been particularly successful and she has inspired many youngsters as well as their teachers. She is recommended by Lancashire, Cumbria, Blackburn and Wigan LEAs as well as The Sage Gateshead, Lancashire Folk, Folkus and Yorkshire Dales Workshops. July 31st Sidmouth Festival - workshops/ Jackie Toaduff interview.